AUGUSTA — A science teacher at Gardiner Area High School has been charged with sexually assaulting a 16-year-old girl, allegedly plying her with alcohol at a home before assaulting her. 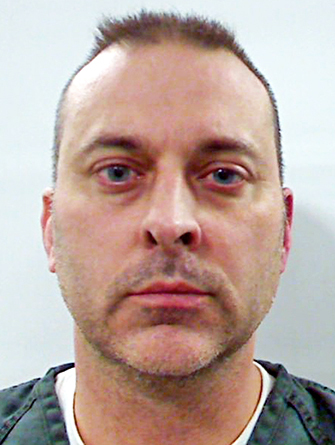 John M. Glowa Jr., 43, of Readfield, faces two counts of gross sexual assault and one of furnishing liquor to a minor. He was expected to make an initial court appearance this afternoon. Glowa, who has been employed since 2008 by Maine School Administrative District 11, was “immediately placed on administrative leave” and banned from having contact with students there and from being on the premises, according to a statement released by Superintendent Patricia Hopkins. The girl named as victim attends a different school, not Gardiner Area High School, Hopkins confirmed. Glowa was arrested Tuesday by Maine State Police Detective Ryan Brockway. An affidavit by Brockway says the sexual assault occurred in a home in Mount Vernon on Jan. 23, 2018, a day many schools were canceled because of snow. One of the allegations against Glowa is that he “did substantially impair” the girl’s ability to react to the situation by giving her intoxicants. The other says he was a person “responsible for the long-term care or welfare” of the girl. Brockway wrote that the girl told her boyfriend of the assaults that night, and he reported it to his father, who contacted an off-duty state police trooper. Brockway said the girl told him Glowa had given her several alcoholic drinks while they ate pizza, and then the sexual assaults occurred while she was drunk. She said she vomited several times afterward and that Glowa told her to tell her mother she was ill.
Hopkins said Wednesday morning that she was preparing a letter to send to parents.